This project is an interactive audio experience intended to present users with an opportunity to use sound and intentional listening as the basis for exploration and understanding. Users can navigate Easton, Pennsylvania by listening to thirty-eight sound narratives recorded throughout the city. 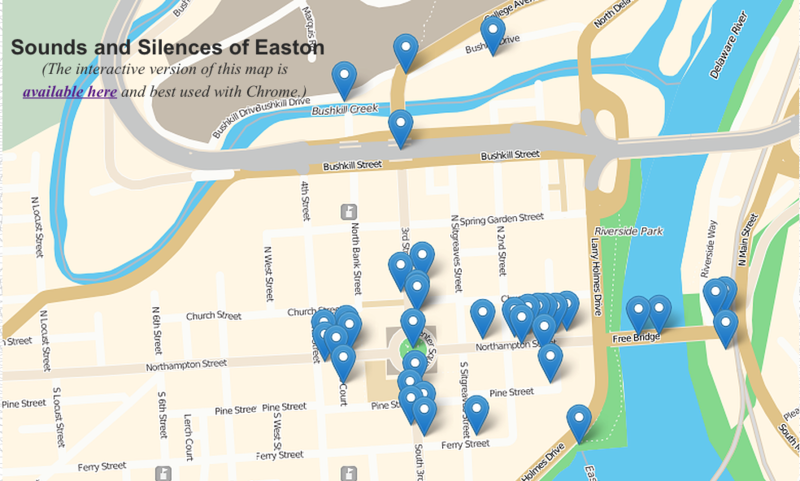 This sound map presents a useful way for individuals to engage with Easton’s dining, community, religious, residential, and waterfront spaces. It also serves as a tool to encourage students of Lafayette College, which is located in Easton, to spend time in areas beyond campus boundaries.